Grand Central Publishing, 9781538745731, 304pp. Read the inspiring story of a mother of four who faced down her hard past, poverty, and self-doubt to create the life she dreamed of, including owning her own multi-million dollar business--in this book that's "filled with grit, humility, common-sense advice and entrepreneurial wisdom" (Lee Woodruff, #1 bestselling author). New Plymouth, Idaho. Population 1536. It doesn't look like much from Rural Route 30, but it was here, in this quiet town, that Jessi Roberts created something unexpected: the kind of life she always wanted and a multi-million dollar, for rural/by rural business empire. 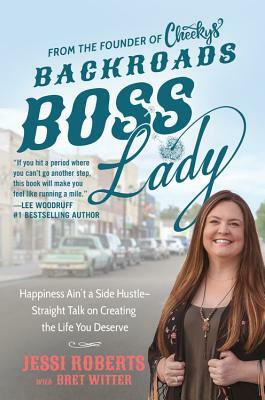 A personal story filled with life and business tips, BACKROADS BOSS LADY is about embracing your passion even when others don't see value in it--or you--and about putting food on the table and believing in yourself. Brimming with authenticity, it gives the warts-and-all, love-it-despite-it skinny on rural life, community, and contentment without compromise. step, this book will make you feel like running a mile."